A converted, old and traditional farmhouse situated in a private alley. This property comprises 2 mill rooms, an arched, fitted kitchen/dining room, separate arched living area, an extra kitchen on the second floor, 6 double bedrooms, 4 en-suite facilities, main bathroom and a laundry room. Also including a spacious sundeck area with a good sized swimming pool. 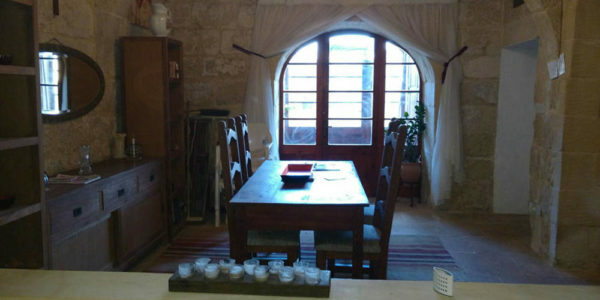 The farmhouse can be converted into two accommodations serving separate guests at one time. Worth viewing! This property has an attached plot of land to it, which can be sold separately for the price of €165,000.